We often get asked what is the least expensive car insurance I can get? This is a trick question. Auto insurance coverage seems cut and dried but it actually quite complex. And the amounts of coverage required by the State of Florida have nothing to do with actual liability or expense that could be incurred if an accident occurs. Then to complicate matters a full 25% of motorists in the state of Florida are breaking the law and driving around uninsured. The least expensive auto insurance premium may end up being very expensive in the event of a car accident. So, how does this all work and what does it mean to you? The state of Florida requires $10,000 minimum PIP coverage, but many people don’t really understand what that means. PIP covers medical expenses for you and your immediate family in the event of a car accident, up to your car insurance policy’s limit. If you have an accident and are injured, regardless of who is at fault, your PIP covers your medical expenses. If someone outside of your family is riding in your car and is injured in an accident, they would be covered by the PIP coverage on their auto insurance. The amount of PIP coverage you should carry on your car insurance policy depends upon the other medical coverage you carry, and its deductibles and limits. For some $10,000 PIP may be sufficient, but for others it may be significantly inadequate. Increases to the PIP coverage on a car insurance policy are often negligible and should be evaluated on a case-by-case basis. In the state of Florida you are required to carry $10,000 property damage liability coverage on your auto insurance policy. This covers you for damage to another person’s property in the event of a car accident where you are at fault. If you cause an automobile accident or are determined to be at fault, and the damage to another person’s vehicle or personal property exceeds $10,000, your other assets could be at risk. If you have assets, it is important to protect them by insuring you have adequate property damage liability coverage on your car insurance policy. 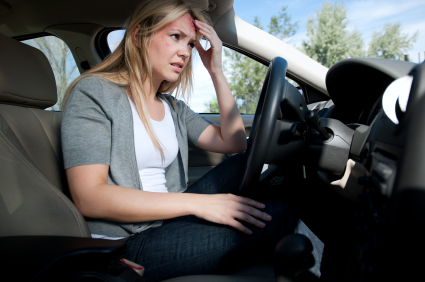 Bodily injury covers injuries to other people when you are at fault in a car accident. There is no mandate on bodily injury coverage in the state of Florida. So if you are hit by a motorist who has no bodily injury coverage, the only protection you have for medical coverage is your own PIP or other health insurance. Also, similar to Property Damage Liability, if you have assets they could be placed in jeopardy if you don’t carry enough bodily injury coverage on your auto insurance policy. Underinsured Motorist property and underinsured motorist liability cover you when you are in an accident that is not your fault and the other person doesn’t have adequate property damage liability and/or bodily injury to cover your vehicle damage and/or medical bills. As you can see from the examples above, the state required limits do little to protect. The first question is, if you were in an accident and the other driver were at fault would $10,000 be enough to cover the repair or replacement of your vehicle? If you drive a 10 year old vehicle that is paid off, you may not need Underinsured Motorist Property. But if you drive a new Hummer, you probably should not be without it. The second question is, if you were hit by someone who didn’t have bodily injury coverage on their auto insurance policy, would your PIP coverage along with your separate health insurance coverage be adequate? Even if you have coverage for the medical bills, what if you could no longer work? Underinsured motorist protects you when the other driver has obtained policies with only the state required limits. Did you know that a full 25% of all drivers on the road have absolutely no car insurance at all? You can imagine what happens to you when you are injured in an accident caused by one of these drivers. To be sure that you are protected at all times, it is important to discuss uninsured motorist coverage with your insurance agent. Because car insurance – the amounts and different types of coverage can be confusing, and so many people are just shopping rates on the internet to save on premiums, it is important that you have an auto insurance review with an agent who really knows auto insurance. 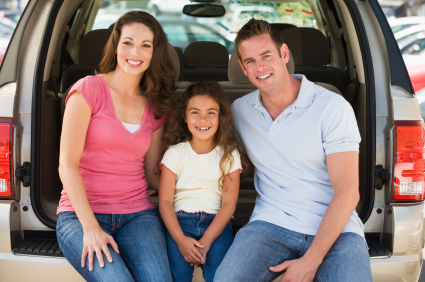 At Grubbs Insurance, we will do an auto insurance review with no cost or obligation. We can make recommendations about where you can afford to save on premiums and point out areas where you may be underinsured. Call us today for your free review.